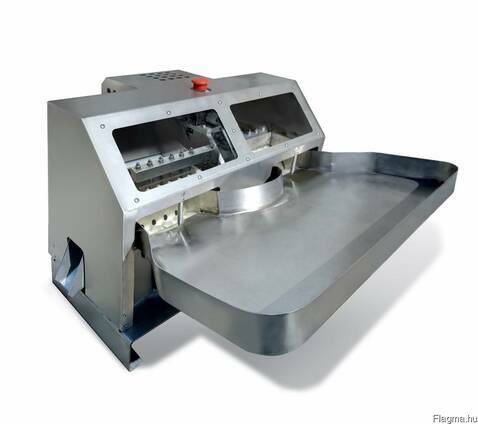 Cherry pitting (destoning) machine PM-250 (200 – 300 kg/h) is designed to removing kernels out of fresh berries of cherry. We are excited to introduce our new and updated cherry pitter PM-250. This light-weight machine that does a large amount of work. Really high capacity and reasonable price! Light weight and small overall dimensions allow using the equipment in any even small factory oriented toward to processing of berries. Cherry pitting machine PM-250 is used in own production line for production of ecologically clean natural products under the trademark Spektrumix. We have first-hand experience and qualification. So we can give recommendations and demonstrate this successfully operating equipment for food industry. The equipment for destoning cherry stones PM-250 is designed for full-time operation. The maximum quantity of processing raw materials is 720 berries per minute. This equates to 200-300 kg of berries per hour. Practical (real) capacity can varying according to raw material and size of berries. High capacity of the machine is achieved due to two drums and automatic feeding of berries. Minimal berry pulp loss is achieved due to the special shape of the knives and soft separators. Effective working of equipment at a low power. 3. The highest level of safety. Construction design of this food processing equipment secures high safety due to protective housing. It fully covers the machine and provides maximum protection of dangerous areas while in operation moving units. If protective housing is open, badly or incorrectly close then starts of equipment it's impossible because in that case operationing safety switch. Also there are protective elements are installed in the places of loading and output of raw materials. Automatic operation with minimum participating of operator. Operator - 1 person (without raw materials preparation). 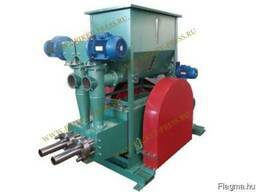 Easy and fast service of the equipment is realized due to use of readily obtainable and quick-detachable units. The equipment has two watch windows for control of work process and changing the angle possibility of inclination of the loading tray. 1. 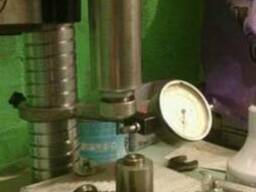 The equipment is certified — ISO-9001, СЕ, EAC, etc. 2. Warranty term for the equipment - 12 months. 3. Technical consultations are provided free of charge and are an integral part of long-term and mutually beneficial cooperation. It warrants of reliable, effective and long-term equipment operation and thus your business project is successful and you have stable profit. The actual price of the automatic cherry pitter machine from the manufacturer in Russia. Buy the cherry pitting machine PM-250 at the price of the manufacturer in the company "Stalats" (Russia). It's the best price of cherry destoner machine for sale. We can supply cherry pitting machine for removing bones (seeds) of cherries (knocking out cherry bones) to any town of Russia. 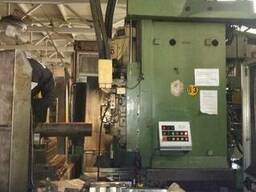 Buy the machine for cherry in Belgorod (Russia). Also you can buy cherry de-stoner machine in any countries. If you need stoned cherries you have to buy automatic cherry destoning machine. Office, warehouse and shop are located in Belgorod (Russia). Cooperation with near-abroad, countries of Baltic, EU. Fruit Processing equipments. Fruit pitting machine. Cherry punching machine. Cherry pit remover machine. Pit extracting machine. Cherry core removing machine. Automatic destoning machine cherries.